We’d love your help. Let us know what’s wrong with this preview of Last Secret Chamber by Phil Philips. To ask other readers questions about Last Secret Chamber, please sign up. I received this book from the author, free of charge, with the expectation of a honest review. Having just finished this book I am a bit bewildered as to how to rate this book. -the fact that all the characters are one-dimentional, with only a slight touch of normal human feelings and reactions. E.g. they keep on cracking jokes no matter how dire situation they are in. -the author having borrowed elements from several other books and movies within the adventure genre. -the plot bei I received this book from the author, free of charge, with the expectation of a honest review. -the plot being fairly simple and predictable. or should I focus on the fact that, in spite of these shortcomings the books is entertaining as the author takes us along on a rollercoaster ride where he plays with the history of Egypt, adds in myths and tops it off with a dose of fantasy. While this book is nowhere near the league Dan Brown and Wilbur Smith plays in, it was ok and I don't feel I wasted my time. I will keep my eye on this author, as I think he has potential. The main characters Joey and Marie can easily be developed into more solid persons and I would love to see them in a future novel. Where is ancient Egypt’s last secret chamber, and what is concealed within? It’s all in the sand! When an archaeologist is murdered in his Cairo apartment, an ancient artifact is stolen from his safe – one believed to hold the clue to the last secret chamber. When Joey Peruggia discovers that the dead man was his long-lost uncle, he travels with his girlfriend, Marie, and his friend Boyce, who works for the French intelligence, to Egypt, on a mission to find answers. But once they arrive, they are lured into a trap and become hostages to a crazed man and his gang of thieves. This is a man who will stop at nothing to discover what lies in the last secret chamber. All bets are off, and only the cleverest will survive this deadliest of adventures. What did I like? Well, the first book, Mona Lisa’s Secret was awesome but this one is over the top…. I could not put it down and read it in one sitting. I sure am losing lots of sleep with all the good books that I have received lately. I love Joey, Marie, and Boyce, they are my favorite historical mystery characters. This book reminded me a bit two of my favorite movies. Indiana Jones and The Mummy. I loved the plot, the action and most importantly the Egyptian history with a little fiction. The story continues smoothly, with no plot holes, and explains enough to the reader so as to understand the importance of the findings and the history behind them. The puzzles are extremely well built and well thought. This book, wisely, includes pictures that catch the reader’s attention and helps us built a clearer men This book reminded me a bit two of my favorite movies. Indiana Jones and The Mummy. I loved the plot, the action and most importantly the Egyptian history with a little fiction. The story continues smoothly, with no plot holes, and explains enough to the reader so as to understand the importance of the findings and the history behind them. The puzzles are extremely well built and well thought. This book, wisely, includes pictures that catch the reader’s attention and helps us built a clearer mental image of the scene. As far as romance goes, I think the way Joey thinks and acts around Marie is adorable, the same goes for Marie. You can understand they’ve been through a lot together. Apart from the two, another character I loved was Boyce. He works with an intelligence service and he is quite smart and resourceful. A character I hated was Youssef, from the first time he was mentioned. His daddy issues run deep and make him the villain of this book. I got the chills every time they discovered some long lost treasure (even mythical treasures). It made me actually think of the repercussions on our real lives and on our society, findings such as these, would cause. I’m a fan of this book and I would recommend it to everyone that loves history, action, romance and some important surprises as the story progresses. This book has basically been my December reading. I thoroughly enjoyed it, as it is a tour-de-force of pyramids, secret chambers and Egyptian mystery history combined with a good dose of fiction. Also a different explanation of how man came to be here. Be prepared to be surprised. I love all the attention to detail with regards Tutankhamen's historic discovery and what happened to Queen Nefertiti. We saw the exhibition of Tutankhamen's discovery and riches when it was in South Africa on show a w This book has basically been my December reading. I thoroughly enjoyed it, as it is a tour-de-force of pyramids, secret chambers and Egyptian mystery history combined with a good dose of fiction. Also a different explanation of how man came to be here. Be prepared to be surprised. I love all the attention to detail with regards Tutankhamen's historic discovery and what happened to Queen Nefertiti. We saw the exhibition of Tutankhamen's discovery and riches when it was in South Africa on show a while back. I did not check any of the facts given in the book, but it definitely seems to be well researched. I was convinced. I felt like a tomb raider, on discovery with the main characters in Egypt. I did not read the first book by Phil Philips - Mona Lisa's Secret - which are being referenced in this book. I did not diminish the story-line in this book, and I could jump right in in this book. (I will go read the first book now). The characters could have been more developed, but maybe they were more multi-dimensional in the first book? I didn't care as I was reading, because I could not wait to see what was discovered with the next discovery in this book. I give this book a thumbs up for good solid escapism, while giving me more thought-provoking questions about the origin of man. Last Secret Chamber is the sequel to Phil Philips’ Mona Lisa’s Secret. It follows the protagonist, Joey and his girlfriend, Marie as they travel to Egypt to discover the mysteries of the secret chamber. The mission however, isn’t as straightforward as they were initially led to believe. Joey and Marie once again find themselves battling against evil and greed to save their own lives and emerge victorious. Once again, the research that has gone in to constructing this novel is phenomenal. Philips’ Last Secret Chamber is the sequel to Phil Philips’ Mona Lisa’s Secret. It follows the protagonist, Joey and his girlfriend, Marie as they travel to Egypt to discover the mysteries of the secret chamber. The mission however, isn’t as straightforward as they were initially led to believe. Joey and Marie once again find themselves battling against evil and greed to save their own lives and emerge victorious. Once again, the research that has gone in to constructing this novel is phenomenal. Philips’ love for the ancient world shines through and his ability to seamlessly weave the modern with the ancient world is second to none. Characterisation does not falter within this second novel meaning that the readers are able to pick up exactly where they left off and are immediately thrown back in to Joey’s world. This world has been immaculately constructed, allowing the reader to picture each scene clearly without the need for long, descriptive passages that would take away from the fast paced nature of the storyline. I got this book from the author via Booktasters for an honest review. It was an educative read with alot of information. The book opens with a man held hostage by his partner, the partner is greedy and impatient, he wants more and can't wait to convince Benjamin. Benjamin, his girlfriend and Boyce are brought in to the scene. They travel to meet Youssef and the book unravels.... the Great Pyramid, treasures, artifacts, scrolls you name it.. the while nine yards of an Egyptian 'mummy' kinda thing I got this book from the author via Booktasters for an honest review. Benjamin, his girlfriend and Boyce are brought in to the scene. They travel to meet Youssef and the book unravels.... the Great Pyramid, treasures, artifacts, scrolls you name it.. the while nine yards of an Egyptian 'mummy' kinda thing. I sincerely loved the historical part, very much. The parties move into a different dimension and interact with other species whose language they didn't understand. Eventually, the get back to earth. 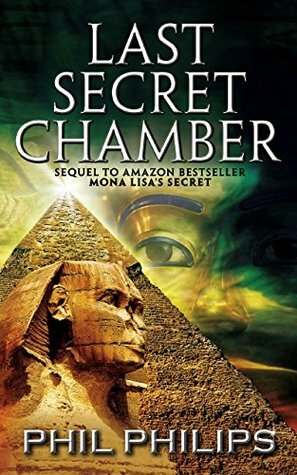 After reading Phil Philips' Mona Lisa Secret, I couldn't wait to read the sequel, Last Secret Chamber. This later novel is so crammed-full with puzzles, ancient mysteries, and theories about the human origin that I wanted the author to slow down the pace so I could enjoy it more fully. In my opinion, the author provided the solutions too quickly leaving me dissatisfied. I also felt that characters were underdeveloped and not in keeping with the first book, especially Joey who comes across more After reading Phil Philips' Mona Lisa Secret, I couldn't wait to read the sequel, Last Secret Chamber. This later novel is so crammed-full with puzzles, ancient mysteries, and theories about the human origin that I wanted the author to slow down the pace so I could enjoy it more fully. In my opinion, the author provided the solutions too quickly leaving me dissatisfied. I also felt that characters were underdeveloped and not in keeping with the first book, especially Joey who comes across more as a buffoon than a hero. eCopy of this book provided by Book Tasters and the author in exchange for an honest review. Oh, I wanted to like this. I hoped that Joey would have grown up since the events of book one, would've treated Marie better. I mean he's not horrible towards her but there's a scene where he and Boyce poke fun at her appetite and it clearly bothers her and that's just not cool in my opinion! Also, I feel like this was just the same as book one, just a different antagonist and historical point of view. T eCopy of this book provided by Book Tasters and the author in exchange for an honest review. I loved this book and the thrill of the story. The way the incident has taken places in the pages of the book, left me amazed and jaw dropping. A definitely recommendable book to them who love to read ancient Egyptian History and thriller. I was deeply engrossed with this book. Definitely recommendable. Reading books in the middle of a series generally cause problems to some readers. It did for me ,because I feel like I missed something. So I got a off my high horse and went back and read book one. It’s like reading Harry Potter book four . You know you have to go back. Moving along, I love this series,partly because of the and the graphics. These help me to enjoy the books more. The interaction between the lead characters is a nice touch. I could see Scott Brick narrating this book. The last secret chamber, it's a fascinating and mind-blowing book that will give goosebumps while you read on, as much as it is fiction but you'll be able to relate to the current situation and make you wonder what really lies above in the universe. Great book and worthy of reading if you are intrigued about life and where it all began. I love the mystery, romance, drama, and I love the ancient Egypt history. This book will take you back in time and keep you guessing till the end of the book. I really do love this book and I do recommend this book to anyone who love history/mystery/drama. If you like Dan Brown's books,you'll like this one too. As you follow the adventure,you learn so much about the ancient Egyptian culture,and the pyramids. There are illustrations and photographs which help you picture the places and artifacts. A very nice thriller. When Joey's uncle is killed, another journey of the three friends begins. Who killed Uncle Ben? What will they find at the Cairo Museum? Will they escape to see another day? Just when one problem is resolved, another takes it place. Couldn’t keep the book down. Great historical mystery, takes you on a quest into the world of pyramids and hidden treasure. If you like your mysteries served with a slice of Egyptian magic, this is the book for you. A look into the secrets of the pyramids, and treasures. And the plight of tomb raiders. It also gives you a glimpse at different worlds and civilizations and their effect on our world. What a exciting read. The characters were very entertaining. The book was very fast paced. I could hardly put it down can't wait to read more from the author. Joey Perrugia travels to Egypt with his girlfriend, art connoisseur Marie and pal Boyce, following the murder of his Uncle Terry and the 'inheritance' of Terry's quest for the Last Secret Chamber, that supposedly reveals the whereabouts of a fabulous hidden treasure. When Marie is kidnapped and held hostage for information and assistance in locating the treasure, Joey's in turmoil. Can he find the vital clue and recover the treasure, or has he lost Marie for ever? 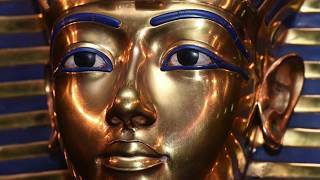 What secrets do Tutankhamen's death mask and the Sphinx reveal? What do Joey and the others find in the chamber? How do they use this information - and with what result? What happens at the Museum of Cairo? Where is the secret relating to St Mark uncovered? Who else is involved in the ancient mystery? This book is a 5 star winner for fans of Stargate and Dan Brown's books, although everyone who reads it will be enthralled, as I was. Don't delay, get your copy today! OMG! This book is awesome. You are in for a treat. I read this book in one sitting. Couldn't put it down. Great story, great characters. This story is well written, but kind of crosses the line to SciFi at the end. It is entertaining and the characters are well developed. The bad guys were truly villians with good triumphing in the end. There is room for a sequel, which surely would be all SCI-if. books. The story line does make you think that maybe there is another whole new world hidden away just waiting to be discovered. Phil Philips does it again! Shortly after their dangerous trip to Paris, Joey and Marie are on their way to Cairo, to investigate the murder of Joey’s long-lost uncle turned avid archaeologist. This time Boyce joins them from the start and what it was supposed to be just a short city trip with a side visit to the Pyramids turns into another crazy adventure. Marie’s intensive knowledge of ancient history proves invaluable in their held at gunpoint stroll inside the Sphynx and all of them act as b Phil Philips does it again! Shortly after their dangerous trip to Paris, Joey and Marie are on their way to Cairo, to investigate the murder of Joey’s long-lost uncle turned avid archaeologist. This time Boyce joins them from the start and what it was supposed to be just a short city trip with a side visit to the Pyramids turns into another crazy adventure. Marie’s intensive knowledge of ancient history proves invaluable in their held at gunpoint stroll inside the Sphynx and all of them act as booby traps testers in their search for the last secret chamber. They stumble upon amazing artefacts and get to see what the mighty pharaohs of Egypt, Nefertiti and Akhenaten, did their utmost to hid from the world. An incredible trip, exciting adventures and tons of ancient history.